If you are looking for a terrific way to visit the Eiffel Tower – without waiting in the queue – then this is most certainly the way to go. 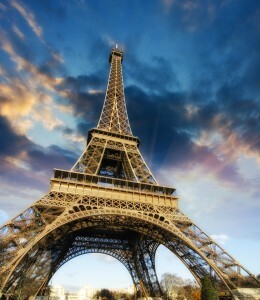 Easy Pass Tours offers a fantastic 2-hour Skip The Line Eiffel Tower Tour. You will tour the first and second floor of the Eiffel Tower with your guide and then make your own way to the summit – for a glass of champagne, no doubt! Meet your guide and be off and touring the Eiffel Tower before you know it – without waiting in line. Brilliant! The tariff for this tour is €69.00 per person and includes the tour and your ticket to the summit. Alternatively, you can purchase a tour to the second level. This has a tariff of €46 and can be purchased here.